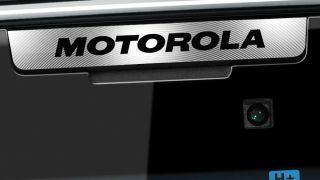 Motorola is looking to roll out its 4G dominance in the US to other LTE markets next year. The Google-owned firm is number one in the US for LTE handsets, and currently ships the most LTE devices in the States than any of its competitors. Speaking to TechRadar Mark Notton, Motorola's Product Marketing Manager said: "LTE as a technology is very core to our business. We've historically been very focused on innovation and engineering and we believe our LTE position in terms of development is second to none." Notton continued: "You would expect as we go into next year that we would take the leadership we have in the US and deploy that in other markets around the world when the time is right." Although specific details surrounding a UK onslaught have yet to materialise, we can probably expect Motorola to stroll onto the 4G scene in Britain sooner rather than later, especially after EE announced its 4G network would be rolling out soon. So are we ready to equip ourselves with the latest Moto 4G handset in 2013, or is it all talk and no walk from the great grandfather of the mobile industry?